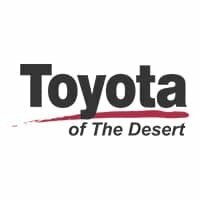 The Toyota Online Parts & Accessories Catalog at Toyota of the Desert manages an extensive inventory of high-quality Factory Genuine Toyota OEM Parts and Accessories. Factory Toyota oil filters, air filters, spark plugs, exterior parts, and Toyota auto body parts. Certified Toyota Parts and Accessories are built specifically for your Toyota’s year and model vehicle. These parts are just like the parts your vehicle was built with, so they’re the best choice concerning fit, performance, and overall quality. Browse our Genuine Toyota OEM Parts Coupons.Own a Scion? Your Scion will receive proper care by trained technicians using Genuine Toyota Parts and Accessories. Ready to order parts for your Toyota? Follow the link below to order today.